The probate battle could delay a compilation album of unreleased tracks from the "Wildflowers" recording sessions. 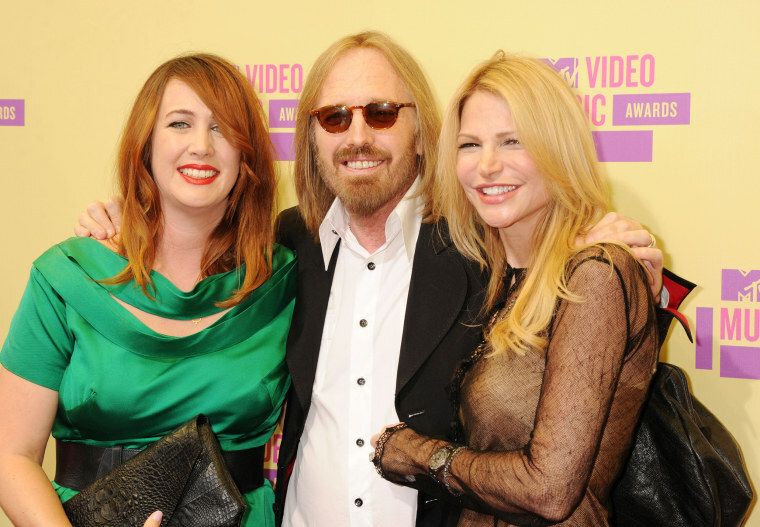 LOS ANGELES - Tom Petty's widow is fighting a probate battle with his daughter, which could affect the release of compilations from the late singer-songwriter's catalog. Dana York Petty filed a petition on Tuesday in probate court in Los Angeles, in which she alleges that Petty's daughter Adria has attempted to seize control of the estate. Since then, two compilations have been released. Reprise Records put out a box set, "An American Treasure," last September, which was followed by "The Best of Everything," a Geffen Records/UMe release in February. There are plans for further releases, most notably an album entitled "Wildflowers -- All The Rest," which would feature unreleased tracks from the "Wildflowers" recording sessions, and which would be be timed to the 25th anniversary of the album. However, those plans are now in jeopardy as Petty's heirs fight in court. Petty had two daughters, Adria and Annakim, from his marriage to Jane Petty, which ended in 1996. He married Dana York Petty in 2001. According to her filing, Dana York Petty is the sole trustee of her late husband's trust. The trust directs her to establish an entity to control Petty's catalog, with equal participation from his daughters. Adria and Annakim have interpreted "equal participation" to mean they should get control of the entity by a two-thirds majority vote. Dana York Petty has argued that a professional manager should run the operation with consent from all parties. In her petition, Dana York Petty argues that Adria Petty has already made things difficult for the estate by issuing directives without consultation with other parties, by changing her mind on key decisions, and by threatening to cancel important projects. According to the petition, Adria wanted to leave "and the Heartbreakers" off the artist name on the "Best of Everything" album, and wrote a lengthy email to Benmont Tench and Mike Campbell, founding members of the Heartbreakers, to vent about it. The petition cites another episode, in which the city of Gainesville, Fla., decided to rename a park in Petty's honor and asked the estate for suitable artwork for a sign. Adria Petty initially approved the artwork that was sent to the city. But she subsequently lashed out in an email to Larry Jenkins, the estate manager, and others, saying the artwork was "HORRIBLE." "IT IS ABOUT MY DAD. WHAT IS THE BEST THING FOR DAD????????" she wrote. "You ALL dishonor my father by allowing this artwork to come from his estate to an excited Gainesville." According to the suit, Adria has also sought to postpone the release of the "Wildflowers" album, and has told record executives that she would assume full control of the estate this month.